When is Holy Week 2020? 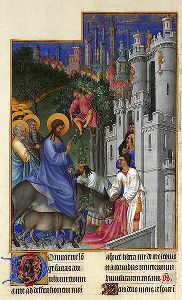 Palm Sunday, which commemorates Jesus' triumphant entry into Jerusalem, marks the beginning of Holy Week. Holy Week is the annual Christian observance commemorating Jesus' last week on earth and the events leading up to his resurrection on Easter Sunday. It is the final week of Lent, and the week prior to Easter Sunday. 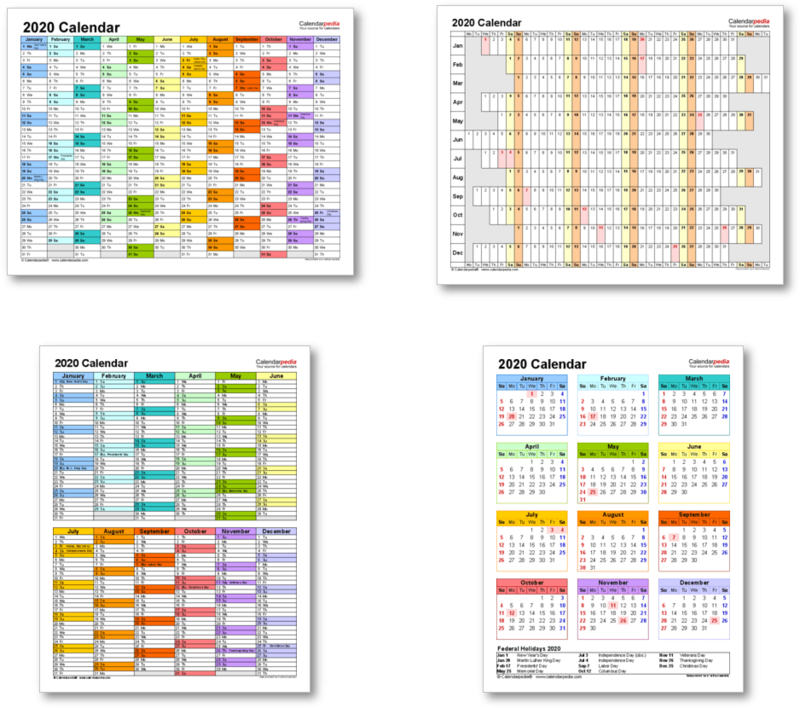 The dates of Holy Week are defined by the date of Easter Sunday, which is a moveable feast, and therefore it falls on different dates from year to year. Holy Week commences on Palm Sunday and ends on Holy Saturday (often referred to - wrongly - as Easter Saturday). It includes the Christian observances and solemn holidays of Holy Thursday (Maundy Thursday) and Holy Friday (Good Friday). 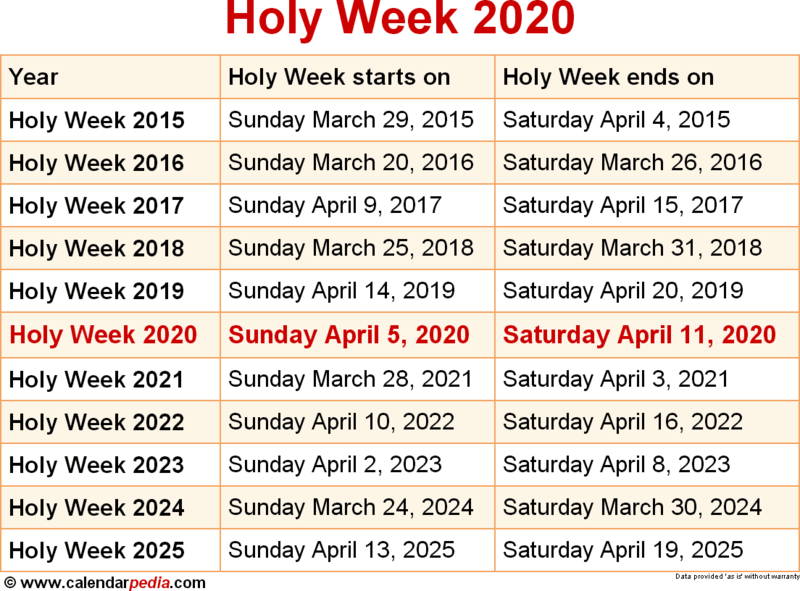 When is Holy Week 2021? The next occurrence of Holy Week is marked in red.